Saute the onion, garlic and peppers in the oil. 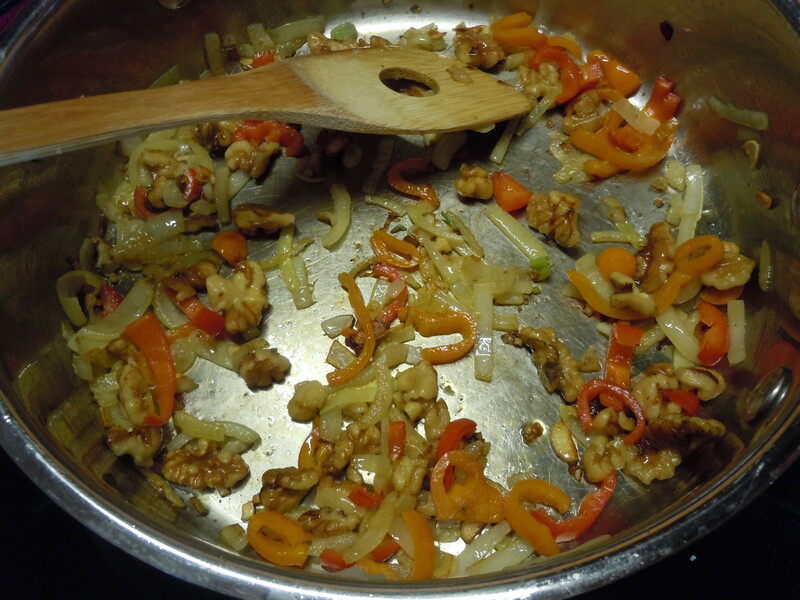 Stir in the walnuts and set aside. 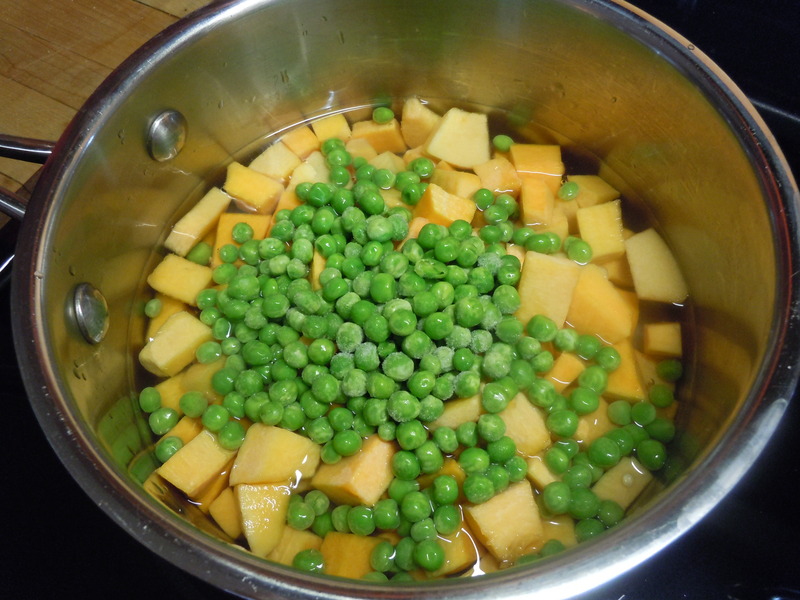 Cook the peas and the squash in the vegetable stock until just crisp tender. 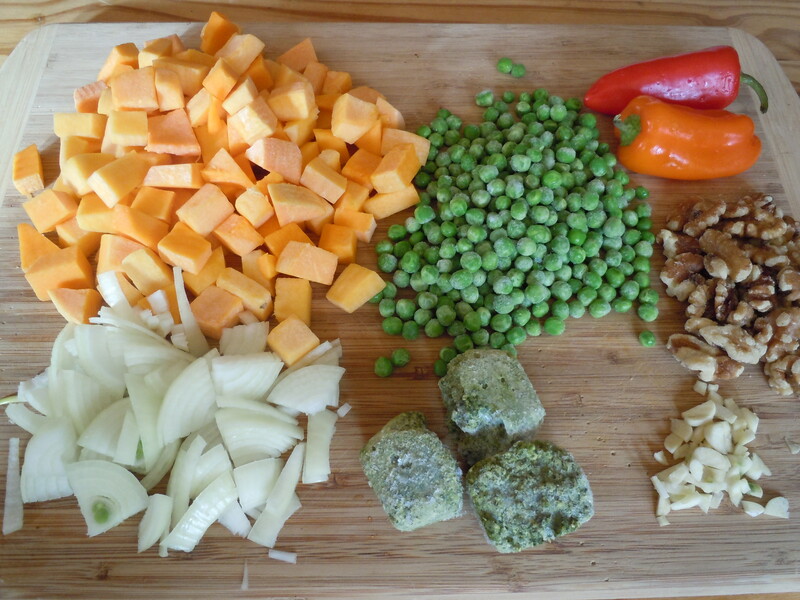 Remove the vegetables with a slotted spoon and reserve the liquid. 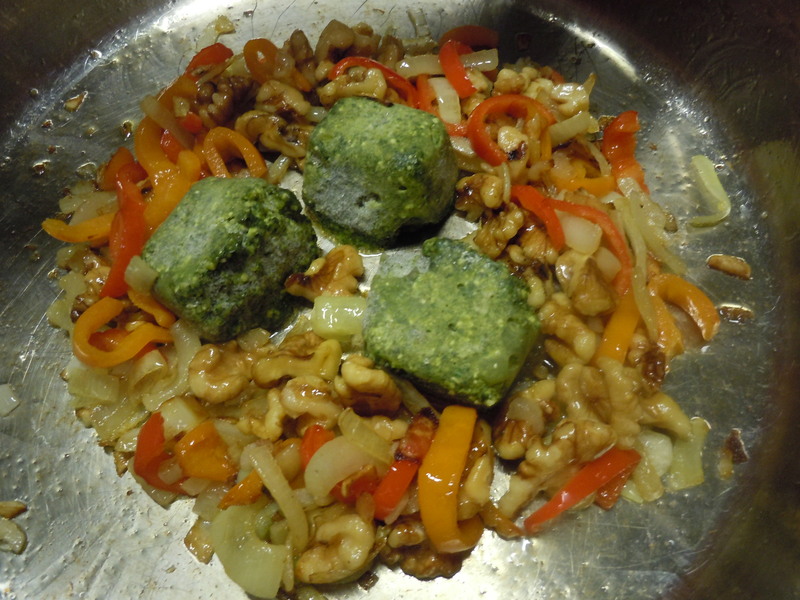 Add the pesto to the onion, pepper, walnut and garlic mixture, adding some of the reserved broth to make a thick but pourable sauce. 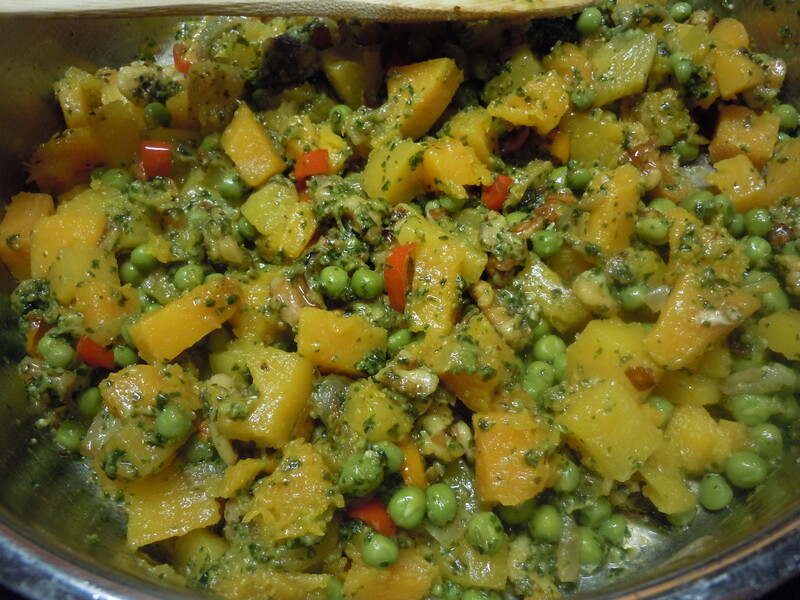 Carefully stir in the squash and peas. Adjust the seasoning. 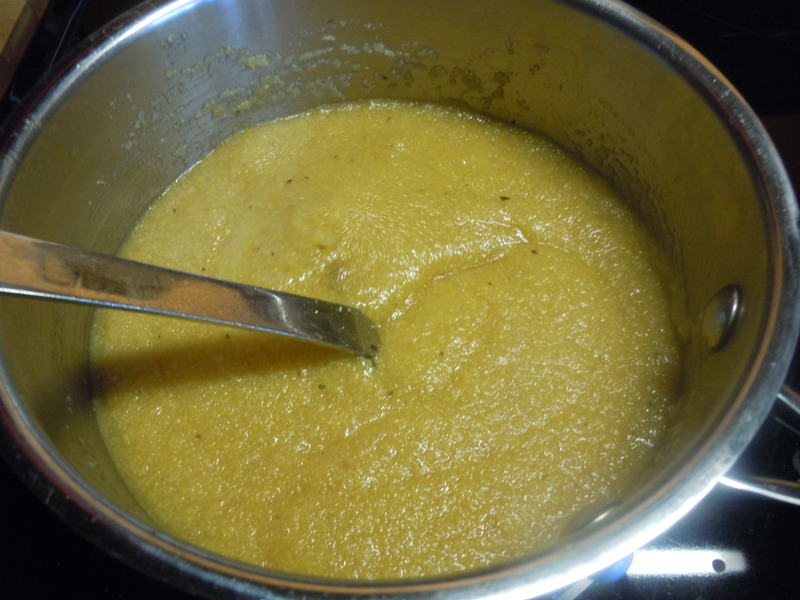 Keep very warm but not bubbling while you prepare the polenta. 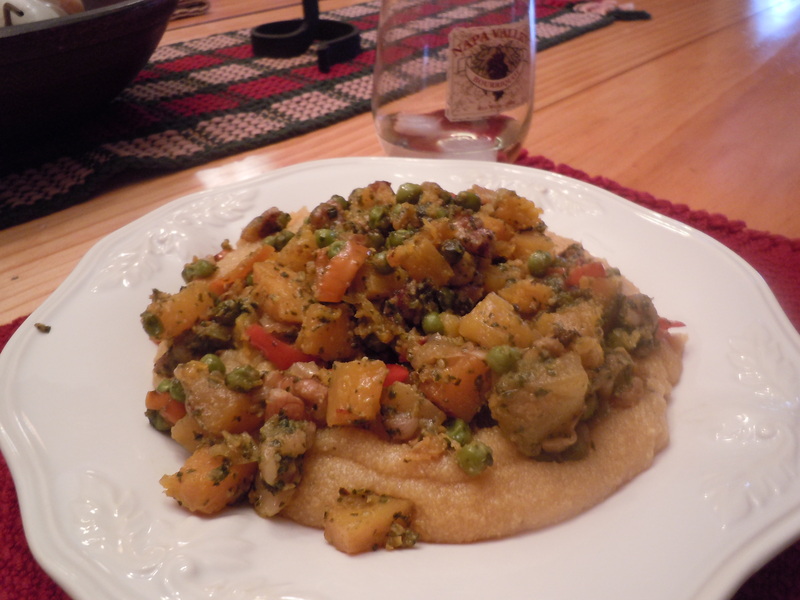 Serve on top of the polenta and garnish with toasted pine nuts.